Music needs more Beth Thornleys. Actually, I think all of us could use more people like Beth in our life. There’s no other way to say it but, Beth Thornley is a good person, a kind person, a talented writer and singer. Beth is someone who’s always been positive and is always ready to help a friend or acquaintance. She’s a compassionate friend. Plus, she writes interesting and varied stories in her songs from the raucous Bari Sax at the start of “Wash U Clean” to Jon Brionish sound of “It Could Be” on her new album. Add to all of that her beautiful and memorable voice. Beth is a pro who produces songs that connect with people. It’s why she has a loyal fan base and has a long string of song placements. Now, reading through this opening I have pretty much guaranteed that I will never be asked to write for Pitchfork and I’m OK with that. I’m great with that. So, let me introduce you to Beth. 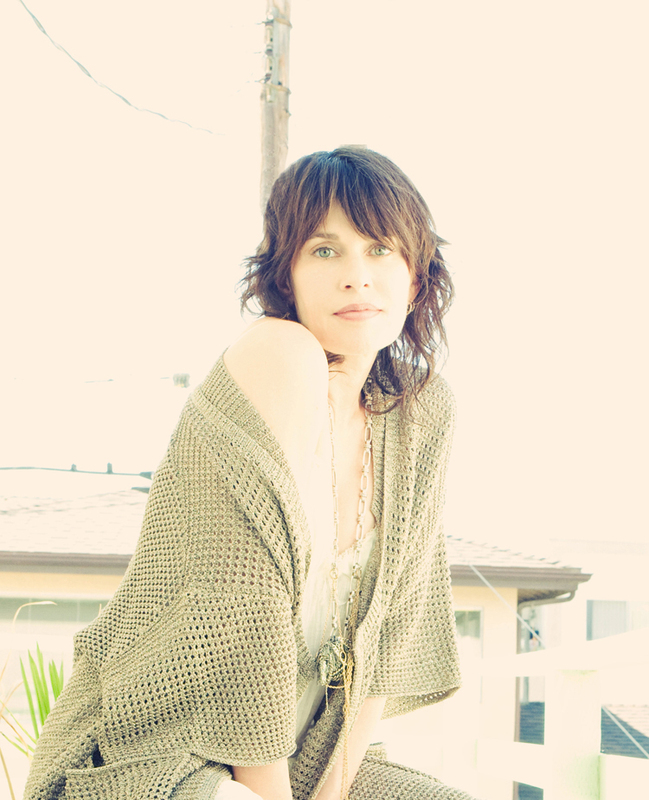 Beth is a singer/songwriter originally from Birmingham, Alabama; now living in LA. She has three independently released albums — the 2003 self-titled debut, 2006’s My Glass Eye, 2010’s Wash U Clean, and now the latest EP, Septagon (April 2014). Her songs have been featured in the movies Magic Mike, Girl in Progress, AssBackwards, The Perfect Man, Between, and Play The Game, as well as the TV shows Friday Night Lights, Hung, Royal Pains, Vanderpump Rules, The Client List, Save Me, Ringer, Suburgatory, Jersey Shore, In Plain Sight, The Hills, Newport Harbor, Making the Band, Life, Jack and Bobby, Everwood, and Scrubs. In 2012 and 2013, Beth and the composer Rob Cairns (who has played guitar, bass, and drums on and supplied savvy production for all of her albums and three tracks on Septagon) co-wrote an original rock musical called Bad Apples, which earned the pair nominations for “Best Original Score” by the Los Angeles Drama Critics Circle, LA Weekly, and L.A. Stage Alliance, winning awards from the latter two. Our Scattered Words: Do you have a set songwriting/composing process? Beth Thornley: I used to write first thing in the morning and that worked for me for a long time. But now, even though that’s still a goal, life isn’t as predictable so I find that I write when I can and that sometimes I write several days in a row for long days and then go several days (weeks even) without writing. It bugged me until I let go of trying to control it and just accepted that life is always going to change. Beth Thornley: None of it comes quickly for me. I am the tortoise, and never the hare, when it comes to writing music. Our Scattered Words: The Hotel Café community of musicians that has developed over the past decade has been incredible. How important has being part of that community been to you personally and musically? Beth Thornley: I honestly don’t know what I would have done without the venue and the people I’ve met there. It grounded me and gave me a foundation and I feel like part of a group instead of out here alone. Songwriting is solitary so it’s nice to make solid connections and Hotel Café made that happen. Our Scattered Words: Cats or Dogs? Beth Thornley: I love them both but I haven’t been a dog owner as an adult (yet!). I had dogs growing up, but as an adult I’ve only ever had cats. Right now, I have 4 felines. My oldest cat is Hudson, he’s 7. Next is Wilma, who is almost 3. And the kittens are Moe and Hazel who will be 1 in July. Hazel is a tabby. The other 3 are solid black. They are all real sweet! Our Scattered Words: You worked on your album with your husband Rob Cairns. Recording an album can get tense at times, especially the artist/producer relationship. How do you two work out the working together/living together issues? Beth Thornley: It took us a while to find a comfortable way to work together. Every album got a little easier because we continued to try to understand each other. But we are actively looking for other places to record my songs so that when we have some free time, the question isn’t “which song should we work on?”, but instead is “what movie do you want to go see?”. We are still going to record songs together, but we hope to have other outlets as an option, too. Our Scattered Words: You and Rob also composed the songs for a play, ‘Bad Apples’ that received great reviews and won some awards. How much fun was that process and how different was that from “regular” songwriting? Beth Thornley: It was a surprise at every turn since neither one of us had ever written musical. The best part about it was that when one of us didn’t have an idea, the other one did. We look back and feel like it was a true 50/50 effort. It was also equally exciting and terrifying. We’re really happy we took the plunge and did it. The way that it was the most different from “regular” songwriting is that the closer we got to opening night, the faster we had to write. I wrote faster for this show than I had ever written before for anything. I guess I learned that I could write fast when I have to, but I still think my best work comes when I have time to think about it. Also, before this musical came along, we had not done any co-writing together. There are a few of my songs that Rob has co-writing credit on but it’s because the co-writing came from changing the song during the recording process. Starting a song together from scratch was completely new for us. And, a little awkward because we work completely differently. But once we began to get into the rhythm of tossing the ball back and forth, we were ok. We just had to (very quickly) find our way of doing it. Beth Thornley: It’s hard to pick a favorite, but a lyric that I think about a lot is one that Corey Brannon wrote in a song called “Miss Ferguson”. The lyric is “The angle of her cheek is the math of persuasion.”. Whenever I get lazy about coming up with a solid lyric, I think about that line and how that’s the standard. I might not meet that standard, but I have to try. The song is excellent and well worth a moment to read the lyrics and listen to it as well as the entire album. Our Scattered Words: What do you wish you could do better? Beth Thornley: Sing, play, write. You name it, I’d like to do it better. Our Scattered Words: What advice would you give to young songwriters? Beth Thornley: Songwriting is hard work. The old saying is true “1% inspiration; 99% perspiration”. Beth Thornley: Probably none; as crazy as that sounds. Studios tend to be stressful places for most people when recording. I’d rather be playing a live show with them. Playing is the most fun for me. All interviews, including Beth Thornley, will be archived alphabetically HERE for easy access in the future.